Mansfield has entered into a Code Red plan for North Carolina, South Carolina, Virginia and Maryland - meaning the storm is expected to make landfall within 3 days. Mansfield has moved to Code Orange for these states and is taking the necessary precautions to prepare customers in these areas. Mansfield Energy Corp, a leading North American energy supply and logistics provider, announced today the acquisition of FUELTRAC, headquartered in Baton Rouge, Louisiana. ”We are excited to welcome FUELTRAC to our growing Mansfield family,” said Michael F. Mansfield Sr., CEO of Mansfield Energy. Andy Austin, senior vice president of specialty products for Mansfield Energy, appeared on an episode of Convenience Matters, a weekly podcast produced by NACS and Fuels Institute. Today Yara International ASA, Mansfield's strategic supplier of DEF (diesel exhaust fluid), has opened the world's largest DEF plant in Brunsbüttel, Germany. DEF is a fluid used to remove harmful NOx emissions from diesel engines and Yara is the global leading producer of DEF. Mansfield Energy has received the prestigious 2017 Platinum Award from Citgo. This award was given to recognize Mansfield's outstanding service, dedication and commitment to the Muscular Dystrophy Association. Mansfield Energy Corp announced today its participation in the Fuel Quality Council (FQC) to address the growing questions around why diesel fuel injectors, filters and other engine parts in modern diesel engines are breaking down with seemingly greater frequency. Mansfield Energy Corp announces the acquisition of Ohio-based Hi-Grade, Inc.’s oil and lubricants business assets. “Mansfield is excited to expand our offering and capabilities in Ohio,” explains Joe Campbell, Sr. Vice President of Operations and Business Development for Mansfield Energy. Mansfield Energy Announces the Formation of Mansfield Cares, Inc.
Mansfield Energy Corp announced the formation of Mansfield Cares, Inc., a 501(c)(3) charitable non-profit entity. The goal of the foundation is to expand Mansfield’s philanthropic efforts and enable donors to easily support multiple causes around the country. Mansfield Energy Corp announced today it is seeing rising demand for Fixed Price and Risk Management services across its customer base in response to the global rise in fuel price risks. Mansfield SVP of Supply Andy Milton told WSB-TV that the benefit of those usually high gas prices the area experienced was that fuel supply did not run out. "We never really ran out like you saw in Texas, and I think a little bit of that higher price kind of helped curb that," Milton said. Mansfield Energy Corp announced today the acquisition of The R.W. Earhart Company in Troy, Ohio. “We are very pleased to welcome Earhart into the Mansfield family,” said Michael F. Mansfield Sr., CEO of Mansfield Energy. While refineries are still struggling to restart following the destruction of Harvey, Hurricane Irma is bringing a new threat. The Colonial Pipeline remains offline west of Louisiana, missing the Sunday night target for restarting the Houston to Louisiana segment of the pipeline. According to their latest update, the pipeline expects the diesel line to resume operations Monday, and the gasoline segment will resume on Tuesday. More than 25 percent of U.S. refining capacity was offline, according to statistics released by Mansfield Oil on Thursday morning. That was an improvement from 30 percent being offline at the peak of the storm. With Harvey now firmly past the Gulf Coast, all efforts now shift to recovery and disaster response. Local rescue efforts continue to find people trapped in their homes by the flooding to evacuate them. Our thoughts at Mansfield are with those who have been affected by Tropical Storm Harvey. Mansfield is committed to supporting the recovery efforts in the area. If you would like to provide aid, please join us in supporting the Red Cross as they help those in need because of the storm. Harvey has officially made final landfall just West of Cameron, Louisiana, and will continue to bring heavy rain and flooding into East Texas and West Louisiana. Houston is finally seeing lighter rainfalls, but the storm continues raging on in Port Arthur and Lake Charles. Tropical Storm Harvey remains a named storm days after making landfall, a record for a Texas-bound hurricane. Rainfalls have surpassed 40 inches in some areas, and are on track to reach 50 inches before the end of the week. Andy Milton, SVP of Supply at Mansfield, tells FOX 5 Atlanta that there been more pipeline shutdowns than expected, limiting access to available fuel supply pumping out of Texas. After making landfall on Friday, Harvey continues to ravage the Gulf Coast, with estimated rainfalls nearing 30 inches in some areas of Texas. Baytown, TX has experienced some of the heaviest rain, receiving 34.36 inches of rain as of this morning. Andy Milton, Mansfield's SVP of Supply talks with WSB-TV Channel 2 consumer investigator Jim Strickland about the impact of Hurricane Harvey on fuel supply and gas prices in Metro Atlanta. Will the demand for diesel exhaust fluid peak in the next decade? Researchers seems to think so, saying it's possible by the end of the 2020s. Mansfield's SVP of Specialty Products Andy Austin weighs in on the state of the DEF market in this article published by Reuters. Mansfield has partnerships with producers like Yara International ASA, CF Industries, and Potash Corp of Saskatchewan to distribute DEF through its nationwide DeliveryONE Network. Mansfield Energy Corp, an industry leader for energy supply, logistics and support services throughout North America, announced today its upcoming DeliveryONE Expo and Seminar will be held August 21-23, 2017, in Denver, Colorado. Mansfield Energy Corp, through a partnership with GreenPrint, is announcing the launch of ZERO™, a reduced emissions diesel program. With the launch of ZERO™, participating Mansfield Energy Corp clients will have their diesel fuel’s carbon dioxide emissions automatically offset through proportionate investments in certified CO2 reduction projects such as reforestation, alternative energy, planting trees locally, and more. After being upgraded from Invest 93L to Potential Tropical Cyclone Three yesterday, the system moving through the Gulf of Mexico has been upgraded to Tropical Storm Cindy. 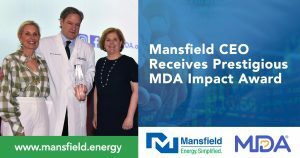 In 2017, Mansfield Energy Corp will surpass $6M raised in support of the Muscular Dystrophy Association during the 31st Annual Mansfield Golf Classic in Greensboro, GA on June 6th and 7th. Communities across the country join together for Relay for Life each year to remember loved ones lost, honor survivors of all cancers, and raise money to help the American Cancer Society make a global impact on cancer. Carriers in the St. Louis, MO area have reported severe flooding in the area. A flood warning has been issued for St. Louis and surrounding counties and will remain in effect until 9AM Friday. Some areas have been asked to evacuate due to fears of a levee breach in the area, which could extend the delays. On Monday, the BP’s Olympic Pipeline was shut down for scheduled maintenance. The pipeline transports diesel fuel from numerous refineries in Blaine, Washington down to Portland, Oregon. One of the country's top comedic talents, Henry Cho, will return to the Mansfield Golf Classic to perform during an exclusive dinner for VIP sponsors on Tuesday, June 6th at the Ritz-Carlton Reynolds Lake Oconee in Greensboro, GA.
Mansfield Energy Corp is proud to be a longtime partner with the Muscular Dystrophy Association. Great strides are being made in the fight against neuromuscular disease, and Mansfield is committed to raising funds for treatments and cures for 43 neuromuscular diseases, quality care programs for kids and adults, and transition services for patients seeking to achieve independence while living with muscular dystrophy and related muscle diseases. 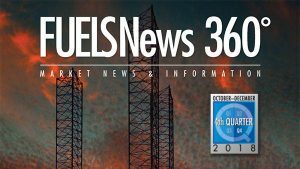 Natural Gas News, published by Mansfield Energy Corp, is a daily report containing all of the data you need to make informed decisions about natural gas. NGN is produced by the Mansfield Power & Gas team led by General Manager Rory Didas and published online here. A complete archive of all past NGN publications is also available online here. Temperatures in the middle of the U.S. have reached zero and sub-zero temperatures this week, with especially severe weather in the Northern Plains. Wind chill in the North is pushing temperatures to the -20 to -40 range. Several states have received snow and are experiencing high winds, shutting down travel. Mansfield Oil Company President Blake Young announced today that Rory Didas will be joining the Mansfield Family as General Manager of Mansfield Power and Gas. This announcement is a huge step for MDA. It brings with it a renewed sense of urgency and purpose across the organization. Mansfield Energy Corp. announced today the appointment of two executive officers to new positions. Doug Haugh has been appointed President and Chief Strategy Officer of Mansfield Energy Corp. Blake Young has been appointed President, Mansfield Oil Company. Once again, Hurricane Matthew has shown its unpredictability, with the entire state of FL now at risk. Matthew became better organized as we went through the overnight hours, knocking on the door of category 4 status. The east coast of Florida is already feeling some effects from the outer bands of this storm. Hurricane Matthew made its way past Cuba overnight and is making a beeline to the Bahamian islands, with a direct hit being predicted for later today. Hurricane Matthew will hit Haiti and Cuba over the next 24 hours as a Category 4 Hurricane, with winds between 130-155 mph. The latest projections have Matthew continuing its path northwest from Wednesday through Friday. This storm is currently located in an area of the Caribbean that has extremely warm waters and is expected to develop into a Cat 1 hurricane by late tonight or early tomorrow, and strengthen to a Cat 2 hurricane before it crosses over Cuba. Andy Milton, SVP of Supply, has represented Mansfield in the media throughout this situation, which we treated with the same importance and urgency as a natural disaster by moving to a Red Alert last week. Colonial announced yesterday that they plan on restarting Line 1 at full capacity today using the temporary, 500-foot line. Product will remain tightly allocated until next week, as it will take several days before the product begins arriving to the terminals. Many fuel speculators believe welding concerns will delay a restart until next week, but Colonial has stood by their announcement that Line 1 will be running by the end of the week. On Friday, Colonial Pipeline began excavation to begin the repair of the gasoline line. Colonial continued to work throughout the weekend and anticipates line 1 to become operational this week. Colonial announced yesterday that the main gas line is not expected to resume operations until next week. It was reported yesterday that 252,000 gallons of gas leaked from the pipeline and crews are still working to clean up the affected area. Last Friday, September 9, a leak was found on the Colonial Pipeline’s gas line near Helena, AL, halting the flow of gasoline from the Gulf Coast to the Southeast. Tropical Storm Hermine is expected to make landfall close to Perry, FL this evening. Several models have Hermine making landfall as a Category 1 Hurricane. Tropical Depression Nine continues to move toward the bend of Florida, and is anticipated to make landfall just north of Tampa. Tropical Depression Nine continues to move into the Gulf Coast. It currently remains poorly organized; however, it has the potential to become a Tropical Storm in the next 48 hours. In celebration of Mansfield's thirty-year partnership with MDA, country music star Kellie Pickler will perform live on Tuesday night, May 17th during the Concert on the Lawn sponsored by Fifth Third Bank. Mansfield Energy Corporation today introduced FuelScore, an interactive smartphone application that provides drivers a safe and convenient way to find fuel at a desired price and location. On January 26, 2016, Mansfield Oil Company’s talent management strategy on the Saba platform was highlighted as a model for industry solutions at the Brandon Hall Group - HCM Excellence Conference in Palm Beach Gardens, FL. We invite you to join us May 17-18, 2016 for another purposeful Mansfield Golf Classic at the renowned Reynolds Plantation in Greensboro, GA. Proceeds from this event will benefit the Muscular Dystrophy Association. Mansﬁeld Oil Company announced today they have been awarded a competitively solicited and publicly awarded national cooperative agreement by the City of Fort Worth, TX. Clean Energy Fuels Corp. (NASDAQ: CLNE) and Mansfield Energy Corp. today announced the formation of Mansfield Clean Energy Partners (MCEP), a joint venture which will provide natural gas fueling solutions to bulk fuel haulers in the United States. Empire Petroleum Partners, LLC announced today that it has acquired the retail dealer business of Mansfield Oil Company of Gainesville, Inc. and has merged its retail dealer operations into Empire effective September 25, 2014. Rick Serie, General Manager for Red River Energy, LLC just announced signing an ethanol marketing agreement with Noble Mansfield Commodity Services (NMCS) after an extended evaluation of various ethanol marketing groups.